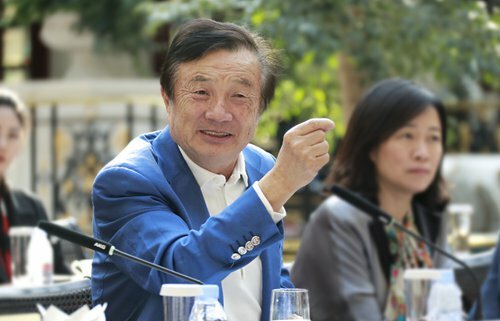 Ren Zhengfei, founder of China’s Huawei Technologies, who usually keeps a low profile, appeared before journalists Thursday and stressed that his company does not steal trade secrets. But this has not deterred aggressively hostile attitude from the West. The Shenzhen-based company has been facing growing pressure from Western countries, particularly the US, as local politicians consider it an arm of the Chinese government. The few US politicians who make noise do not represent US society. I believe US industries, enterprises and technology sectors firmly support us and seek greater cooperation with us, Ren noted. Commenting on his military background and being a Party member, Ren said don’t confuse business model with ideology. He expressed gratitude to the Chinese government for providing consular protection to Chinese citizens. Meng Wanzhou, Ren’s daughter, was arrested on December 1, 2018 by Canadian authorities following a US request. She is now facing an extradition through Canadian courts, and US charges may stem from alleged Huawei’s violation of US sanctions against Iran. Ren told the Global Times at an interview with multiple Chinese media outlets in Shenzhen, South China’s Guangdong Province on Thursday that he calls Meng frequently and tells her jokes to relax. “She is very strong,” Ren said. The 75-year-old Chinese entrepreneur also expressed his gratitude toward the Chinese government for providing consular protection to Chinese citizens. “We anticipated the problems that Huawei might encounter a dozen years ago. 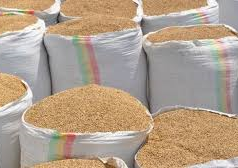 We are not totally unprepared for the current situation,” Huawei founder Ren Zhengfei said. On the alleged theft of trade secrets, Ren reiterated that the company absolutely respects intellectual property rights of others. “Huawei now has 87,805 patents, of which 11,152 core patents were granted in the US, and our technology patents are valuable to the information society of the US,” he said. Huawei has been heavily investing in research and development (R&D) and making major breakthrough in core technologies. Federal prosecutors are now pursuing a criminal investigation of Huawei for allegedly stealing trade secrets from US business partners, including local carrier T-Mobile, the Wall Street Journal reported on Wednesday. The investigation stemmed from civil lawsuits against the Chinese company, which is also the largest telecom equipment provider worldwide. The recent move of federal authorities is seen as part of growing pressure being exerted by the US government on Huawei, in line with its aggressive stance to curb the rise of Chinese high-end technology. T-Mobile sued Huawei in 2014, claiming that two employees of the Chinese company in its US affiliate spied on a smartphone-testing robot that the US carrier had in its Bellevue lab, and the lawsuit had been settled in federal court in Seattle in 2017, the Seattle Times reported in May 2017. The jury determined that T-Mobile should be awarded $4.8 million in damages because Huawei had breached a handset supply contract with T-Mobile but it did not award any damages from the trade secret claim, the media report said. The Chinese Foreign Ministry on Thursday urged the US government to stop politicizing multinational litigation and business disputes, which will seriously damage its judicial reputation as neutral and independent. 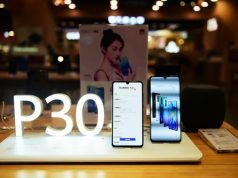 “The dispute between Huawei and T-Mobile is a civil lawsuit that has been properly settled in accordance with US law,” Hua Chunying, spokesperson of Foreign Ministry, told a press briefing on Thursday. “We’re concerned about US federal prosecutors who are reportedly investigating the case, and we have doubts about their real intentions,” she remarked. Politicizing civil lawsuits will not only be inconsistent with the rules of free and fair market competition, but will also violate the spirit of the rule of law, Hua noted. In 2017, Huawei invested 89.7 billion yuan ($13.3 billion) in R&D, or 14.9 percent of its total revenue, according to the company’s website. Huawei’s profits were about $9 billion in 2018 and the company invested $15-$20 billion into R&D, according to Ren. The Chinese company also ranked fifth in the world’s top 50 companies by their R&D investment in 2018, and Huawei was also the only Chinese company listed, according to 2018 EU Industrial R&D Investment Scoreboard released in December 2018. Huawei will invest $100 billion in network restructuring in the next five years to make networks highly secure while protecting privacy by following EU General Data Protection Regulations, Ren said. “The latest move of US federal authorities is abnormal, as Huawei had not lost its edge in the previous civil lawsuit,” Long Z. Liu, an attorney licensed in California and US federal courts, told the Global Times on Thursday. In patent disputes between technology companies, a court usually awards multimillion-dollar damages, Liu noted. “Based on the relatively small amount T-Mobile was awarded in previous disputes, I would not say Huawei completely lost the lawsuit,” he said. Huawei also filed a lawsuit against T-Mobile for mobile patent infringement, following talks between two countries over a licensing agreement for the 4G patents in 2014, media reported in 2016. Chinese officials and analysts also criticized the US government for politicizing normal business disputes, and some see this move as a further crackdown on China’s rise in high-tech fields, especially in the 5G technologies. “The US side is likely to be unsatisfied with the ongoing China-US trade negotiations, so it needs to seek different ways of suppressing China,” Huo Jianguo, a research fellow at Chinese Academy of International Trade and Economic Cooperation, told the Global Times on Thursday. “Apparently, Huawei has been growing into a tech giant that could challenge other foreign players in the telecoms sector, which motivated the US government to curb its further growth,” he said.